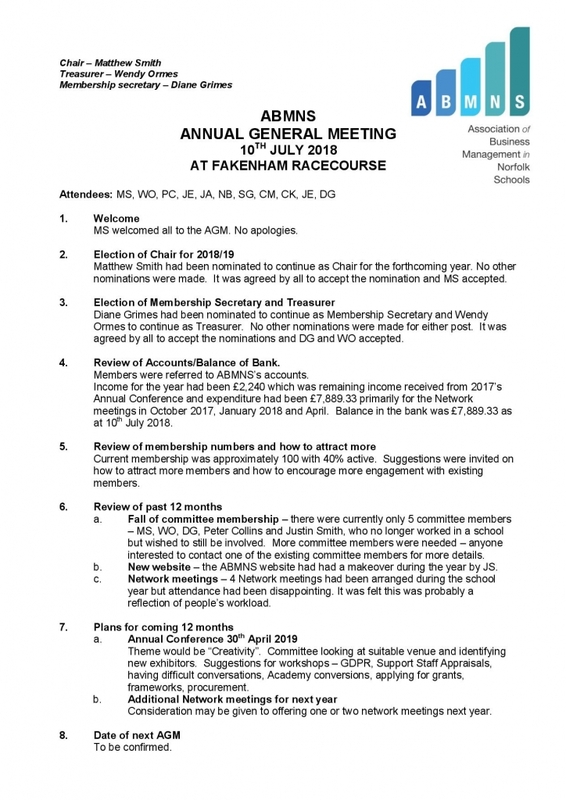 The members of the ABMNS committee were elected following our AGM held on the 10th July 2018 at our network event held at Fakenham Racecourse. Each committee member has an area they are responsible for. The AGM is held every year as part of our annual conference.